Two wanted sharp shooters, including wanted shooter were spotted with RJD strongman Mohammad Shahabuddin after he walked out of prison on bail after 11 years on September 10, reports said on Tuesday. Two wanted sharp shooters were spotted with RJD strongman Mohammad Shahabuddin after he walked out of prison on bail after 11 years on September 10, reports said on Tuesday. Mohammad Kaif is wanted in the murder case of journalist Rajdev Ranjan. 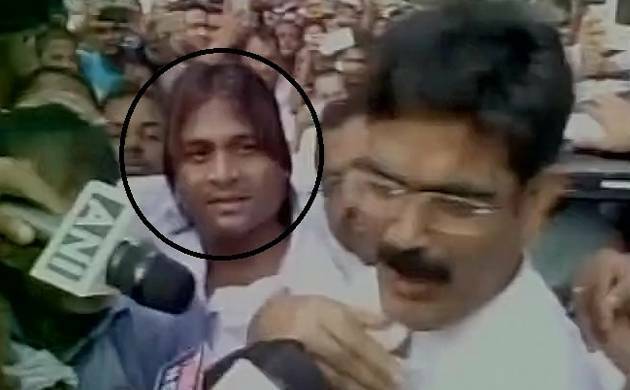 Another shooter seen with Shahabuddin is named Javed, ANI reported. Police probe against the accused Mohammad Kaif in Journalist Rajdev Ranjan murder case is underway ,Siwan SP Saurabh Shah said. Shahabuddin was released with much fanfare and praised party chief Lalu Prasad while making it clear that there was no love lost between him and Chief Minister Nitish Kumar. Shahabuddin, who is a member of RJD National Committee the top decision making body of the party- and is known to be close to the RJD chief, said categorically that he never enjoyed good relations with Kumar. Various pending cases against Shahabuddin were reopened and he was sent to jail after Kumar had assumed power in 2005. He was, however, quick to add that it was the court which sent him to jail and the court again which ordered his release from the jail.Shahabuddin had got final reprieve when Patna High Court granted him bail in a case of murder of a witness in the 2004 killing of two brothers in Siwan. He had got bail in nearly 12 other cases earlier.